Getting the chance to represent a university and its community is a once-in-a-lifetime chance for many students. Grand Valley State University’s Homecoming Regent is one of the few ways that students can elect each other to represent the values that make Lakers great. 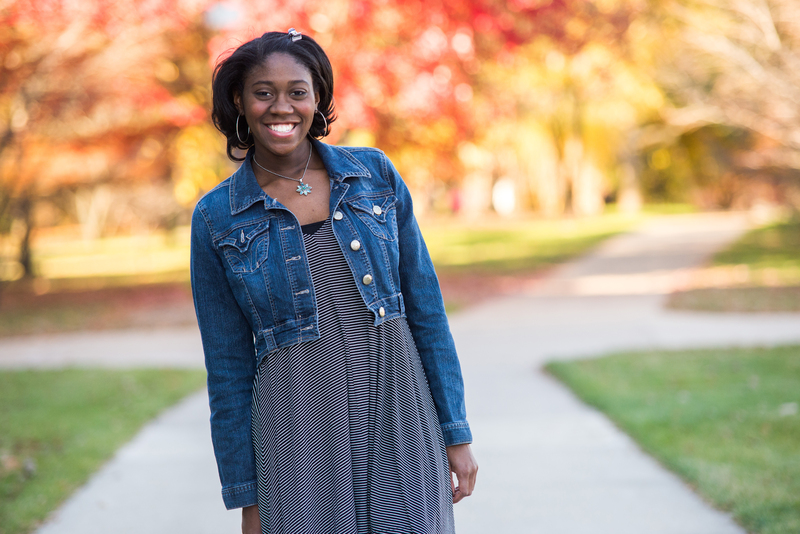 This year, senior psychology student Darian “Dee” Farrell was crowned Homecoming Regent. After a week of interviews and voting, Ferrell was voted to represent GVSU as a student that exemplifies the school’s values. Farrell, a Macomb Township native, is not only Homecoming Regent – she’s president of her sorority, Delta Zeta, a student assistant in the Dean of Students Office and she’s in the McNair Scholars Program. Farrell chose to represent the McNair Scholars Program during the nomination process. Though she is an active member in Greek life and used to be an R.A., both of which are popular ways to get nominated, Farrell wanted to give back to an organization that gave so much to her. The McNair Scholars Program is a grant-funded program that aims to take first-generation, low-income or underrepresented students and put them on track to earning a doctorate degree in their respective fields. The program teams students up with a mentor during a 12-week program during summer break to do research related to the students’ fields of study. The program also offers public speaking support, GRE prep and trips to graduate schools and professional conferences. The program only works with 34 students each year, and the small size is what made Ferrell want to give the group more recognition. “I wanted to show the university and the campus what our organization does,” Farrell said. Dolli Lutes, the director of the McNair Scholars Program, said that she was excited that Farrell chose to represent the small organization rather than any other organization that she’s part of. Active in student life takes on a new meaning with Farrell. Though she is a full time student, Farrell is also the president of Delta Zeta, the sisterhood she’s been active in since her freshman year. As soon as she joined, Farrell said she stepped right in, wanting to take on any roles that she could right away. As a person who tries to stay committed to her faith, Farrell became the chapter chaplain. Her sophomore year, Farrell, who had also just become an R.A., took the chair of parent and alumni communications for Delta Zeta, keeping Farrell active and busy. Continuing her leadership career, Farrell was an R.A. again her junior year. She also took on the role of Rho Gamma for fall sorority recruitment, which is a role that takes Greek women and disaffiliates them during recruitment so they can act as mentors for rushing girls. During the winter semester of her junior year, Farrell officially took the title of president for Delta Zeta and became the first black woman to ever take on that role. “To be the first African American president of my chapter was really touching and just showed that you can make a difference if you believe you can,” she said. President, scholar, student worker and R.A. — Farrell said she started to get overwhelmed and that she had to decide on what to do. She ultimately decided that she would not return to being an R.A. and instead live in her sorority house. Throughout her time at GVSU, one of Farrell’s mentors was Marlene Kowalski-Braun, who has worked with Farrell in the Dean of Students Office for three years. Kowalski-Braun said that Farrell is exemplary in all areas and that she’s supported Farrell in any decision she’s made. After being nominated, candidates go through an interview process in the Office of Student Life. During the week of homecoming, all of the potential regents are serenaded by their respective organizations, and the best serenades are given formal invitations to be in the top 10 regents. Farrell’s serenade didn’t go exactly as planned. Many of the McNair Scholars live off campus, so no one was able to attend the event. Farrell said that she accepted it as fate that she wouldn’t advance to top 10, but in a turn of events, her sorority sisters from Delta Zeta and their homecoming teammate, Sigma Phi Epsilon, stepped up and serenaded her. Yet she was chosen to be one of the top 10 candidates. Once they are announced, voting opens to the public. Farrell said that at that point, she was still convinced that she didn’t have a chance. Homecoming Regent was announced right before the homecoming football game against Findlay on Oct. 24. The 10 nominees stood out on the football field, and when they introduced themselves, Farrell was holding hands with Shannon Blood, who was standing right beside her. When Farrell’s name was announced, her jaw dropped. She couldn’t believe it. Farrell said she’s learned a lot about herself during the process. As a student leader, she said, people may not realize the sacrifices they’re making to be the best they can be in any role. Taking on that much responsibility is hard, and Farrell said that people recognizing her hard work has helped her be a better leader. So what’s the next hat for Farrell to add to her impressive collection? Her graduation cap. Story originally posted on Grand Valley Lanthorn.